The novelty addressed here is commenced with a view to use our formerly prepared starch nanoparticles (SNPs) of size around 80–100 nm as a starting substrate for grafting meth acrylic acid (MAA) using KMnO4, HClO4 in presence of HNO3 as innovative redox pair in aqueous medium. This was done to see the effect of SNPs with respect to well-dispersed nanosized particles, large surface areas, biodegradability and reactivity on the rate and extent of grafting. Besides; maximize the graft yield and graft reaction efficiency and reduce the homopolymer formation to lower extent. This could be accomplished via an in-depth assessment into the chief factors affecting the polymerization reaction such as initiator, monomer, SNPs and acid concentrations, time and temperature of polymerization, and liquor ratio. The results obtained indicate that the magnitude of the polymer yield including graft yield, graft reaction efficiency and homopolymer formation are determined by these factors. The structure of the resultant copolymers was confirmed instrumentally by Fourier transforms infrared spectroscopy; while both the surface morphology, crystalline structure and thermal properties were characterized by scanning electron microscopy, X-ray diffraction and thermal gravimetric analysis. 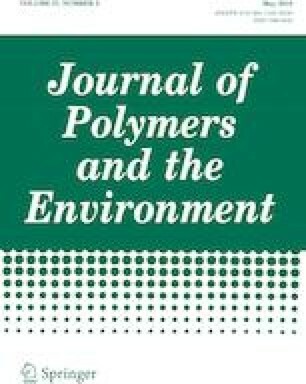 Furthermore, the resultant copolymers were evaluated as environmental remediation materials via cadmium ions and cationic dyes removal from their solutions with different extent; in addition to higher swelling and chemical resistance in water as polar solvent and hydrochloric acid as acidic solution. The anticipated mechanisms involved in the synthesis are reported. This work was funded by National Institute of standards, NIS.